Experience: IWC Boutique. Bahnhofstrasse 61, Zurich. Located right on Bahnhofstrasse 61 not far from Credit Suisse, the IWC Boutique is a must see if you live in Zurich or if you are just visiting. This boutique just opened back in September of 2012 and follows the same interior design concept of all other boutiques. 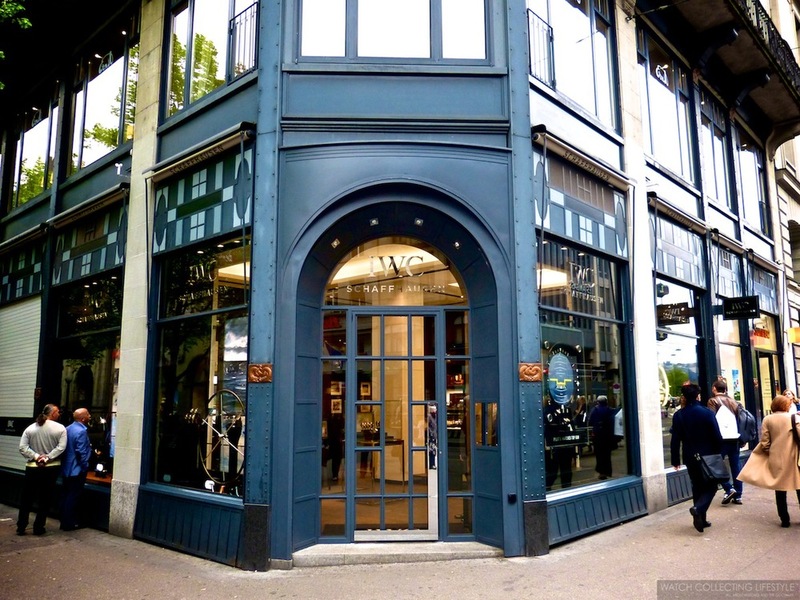 Just a few blocks away from the main train station, this boutique blends in nicely with Zürich's architecture and look of most store fronts. Regardless, you just can't miss it. When closed for business, all windows are protected by metallic curtains in white with a black IWC logo at the bottom. The window displays are eye catching and very well done. Once inside, you will find a nice assortment of pieces from every line in their collection. From Pilot's watches, to the Portuguese line, the Ingenieur novelties and everything else in between. 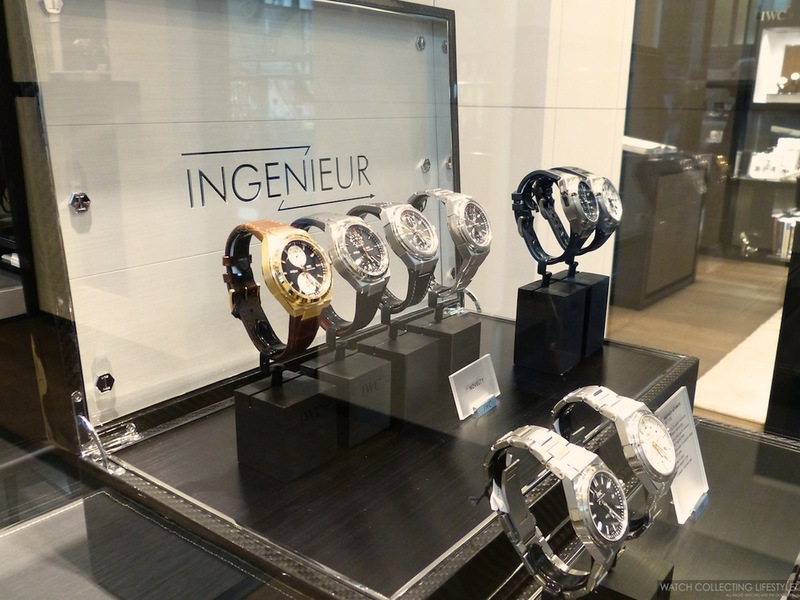 This time, one of the Ingenieur novelties caught our wandering eyes. While we explored every display inside the store, we just couldn't resist trying on the new Ingenieur Chronograph Racer ref. IW378508 fitted with a stainless steel bracelet. This new watch with an enticing slate-coloured dial, black registers —chrono register at 12 and running seconds/date aperture at 6 o'clock— and a red '60' on the chapter ring at 12 o'clock, is just gorgeous. The red accent was inspired by the digital display on the steering wheel of the Mercedes AMG Petronas Formula One racing car. We will be dedicating a full post to review the watch in full. Next time you are riding the tram on your way to the train station, make a pit stop at the boutique. Now, make sure you don't miss your train, because once you walk inside, you won't be able to leave promptly. Captivating displays, beautiful watches, comfy sofas and great service are awaiting. Posted on May 16, 2013 by Editor & Publisher and filed under Watch Shopping, IWC and tagged Bahnhofstrasse Ingenieur Chronograph Racer ref. IW378508 IWC Boutique Portuguese Big Pilot's Ingenieur Novelties AMG Petronas Formula One Mercedes AMG Petronas IWC Boutique Zurich.